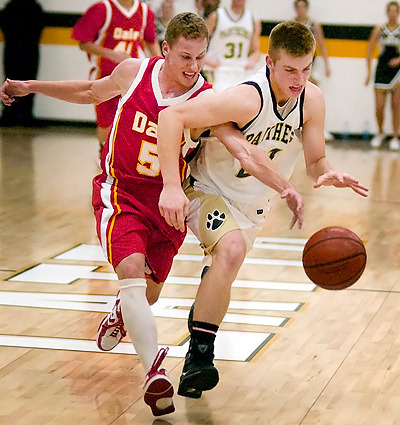 For sports like basketball, particularly if I worked the baseline, the 85mm was capable of making intimate, engaging action photos like this 2001 image of Latta Panther basketball. 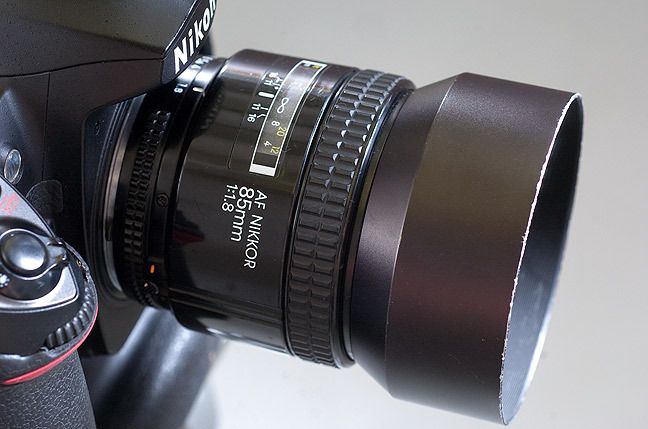 I bought the AF-Nikkor 85mm f/1.8 in about 1993. I didn’t really need it, but I’d never owned an 85mm, and the focal length had some legend attached to it. In the film era, the 85mm was an excellent choice for portraits, but it was a little on the short side for sports. Once in a while I shot a basketball game with it, but it never really sang in that role. Then in 2001, I got my first digital camera, which had a smaller sensor, 24mm x 15mm, and the 85mm suddenly delivered for close-in sports like basketball. At one point a few years later I found a used manual focus 85mm f/2.0 of 1984 vintage, and found it to be a better lens in all respects than the autofocus. In about 2003, I traded it away to help fund an additional digital camera. After 21 years of hard use, the AF 85mm finally started acting its age; the focus mechanism began to stick and grind, in both manual and autofocus modes. I sent it to Nikon, but they sent it back, no charge, saying they couldn’t fix it because they don’t make parts for it any more. I consider it unusable, but in a pinch you could probably use it in manual focus mode, though it would require a bit of patience. It’s not like I am without that focal length, since I’ve got several zooms that will do it, and a couple of primes in that same focal length class, but I will still miss it. I made some great images with it over the years. My AF-Nikkor 85mm f/1.8 sits mounted on one of my D200s; though it can technically still make images, I consider it retired. For a few years, the 85mm f/1.8 (Canon’s AF version) was my go-to choice for basketball, though in many low-budget gyms it’s still too dark for f/1.8 to help much. The auto-focus was very quick and the distance was just about right if I stayed on the corners. These days, I don’t use it incredibly often.